Have you ever wanted to write mystery eBooks but procrastinated for so long you never got started? You’re not alone. Millions of people around the world want to write a book but through a number of obstacles never get started. I understand their pain. I was a ‘fully paid up, card carrying member’ of the ‘one day’ club. But one day, things changed. I decided to write my mystery eBooks. Here’s my step by step approach on how I wrote 20 mystery eBooks in just 20 months AROUND a full time job. Thirty years of procrastination can do that to you. I doubted if I could actually write a book. At best I was a B+ English student at school. My vocabulary existed of either one syllable or possibly two syllable words. My A grade mates knew words as long as my arm – and they could spell them. Pretty damn scary to me. I also doubted that once I did actually write the book, who would publish it. I was a nobody and no big name publisher would take a chance on me. But assuming I could overcome these hurdles, who the heck would read my book. And would they think it was any good or at least ok. I don’t know about you but these fears were very real to me. I didn’t want to put a ton of time into something and end up failing – again. I had started many only ventures before and they were all disastrous. I did some research. I found an online writing club who’s founder understood my problems. He knew my fears about writing a book and publishing it were very real. He had coached hundreds of would-be-authors before. Some had got onto the dizzy heights in the book world; while others were happy just to get a book out; something that could sit on the coffee table and perhaps a few friends may buy. This would ensure my book got finished. Sounds basic but it’s actually……true. Also flexing the writing muscle also steers an author toward a path of improvement – hopefully. Having a full time job, I could not see myself knocking out a ‘1000 page mystery book monster’ nor had I the experience to do that. So I decided to play to my strengths. I could write 1000 words a day, before work and after dinner. In ten days I would have a mystery eBook done. In a month two or three mystery eBooks. Not bad, but as it turned out not a reality. Over 20 months I averaged to pen 20 books and get them published. Trying to get a traditional publishing contract would take time. Publishers make authors jump through a lot of hoops. The can be very demanding and my patience wouldn’t wear their pompous attitudes. Amazon had changed the game some years back. You could now write a book in quick time, outsource the book cover design, book formatting and editing, and upload the finished product yourself. Amazon can take up to twelve hours to approve your work but you are then a published author. This was my best option. Another box ticked. Every morning I woke at five and wrote to seven. I googled, editors, book cover designers, formatters and a whole lot of other stuff. I found courses, read marketing material and hung out in the my online writing group on their Facebook page and asked a ton of ridiculously stupid questions. But people were kind. They gave away their tips for free. I listened to those who were actually doing what I wanted to do and applied their advice. I engaged others to do my covers. Sure not everybody was brilliant. I did lose some money but eventually I’ve found two exceptional designers for all my mystery eBooks. Through trial and error, I honed my online team. It’s an evolving group of professionals that will continue to grow and expand with me. I love them! IT’s pretty dam good. I’ve had nine books hit #1 Amazon US & UK within the mystery thriller and suspense genre. Over that time my social media following has exceeded 40,000 people. I have the best reader list of 10,000+ I chat with every single week. My author brand is moving forward. In April 2017 Austin Macauly UK signed me and are producing Murder Secret into a paperback for me which will hopefully see it in book stores throughout the UK from early 2018. Juggernaut India love mystery eBooks and has given me a 25 + book publishing contract which will expose me to a very exciting market from November 2017.
none of this would have happened if I had remained stuck. I never would have authored any books if I allowed my self doubt and fears rule my life. I’m glad I found a writing group, listened to their advice and actually got started. Without acting upon my dream I would now be sitting around saying “what if”. 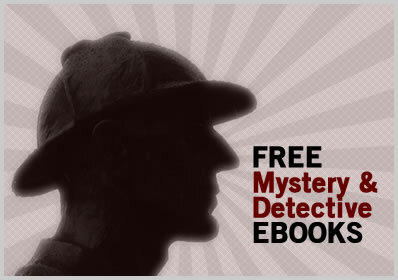 Twenty mystery eBooks in twenty months is just the beginning. I hope you act upon your dreams too.